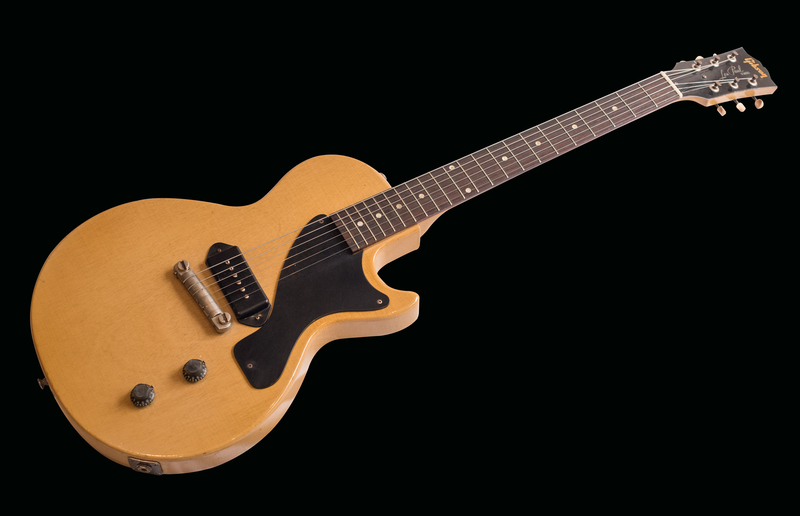 Gibson Les Paul TV Junior 1956 - this Guitar is just about the cleanest TV Junior we have ever offered for sale. All Original parts and finish. Complete with the original SSC. Nice! 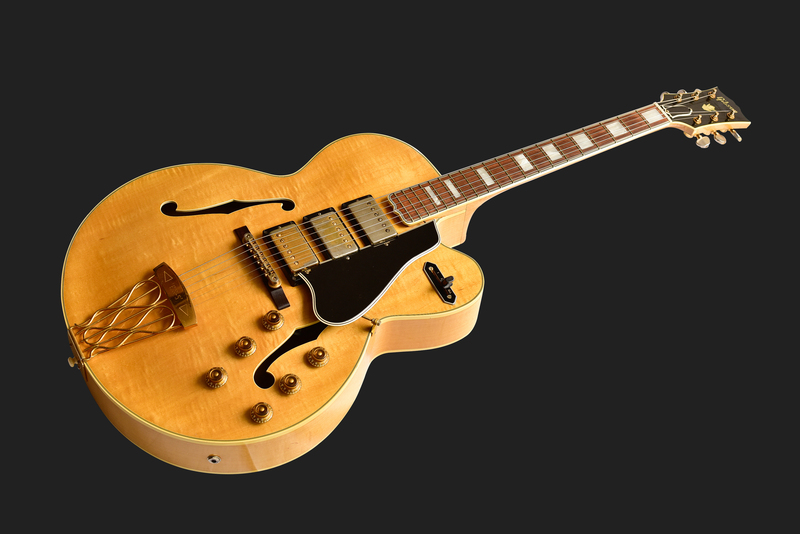 Gibson ES295 1954 Gold Finish. A very rare guitar to find in the UK. This one is in a good original condition but shows players wear and much of the finish is missing from the back of the neck. But hey, it is 63 years old! Original parts and has an excellent vintage tone. Complete with the OHSC. 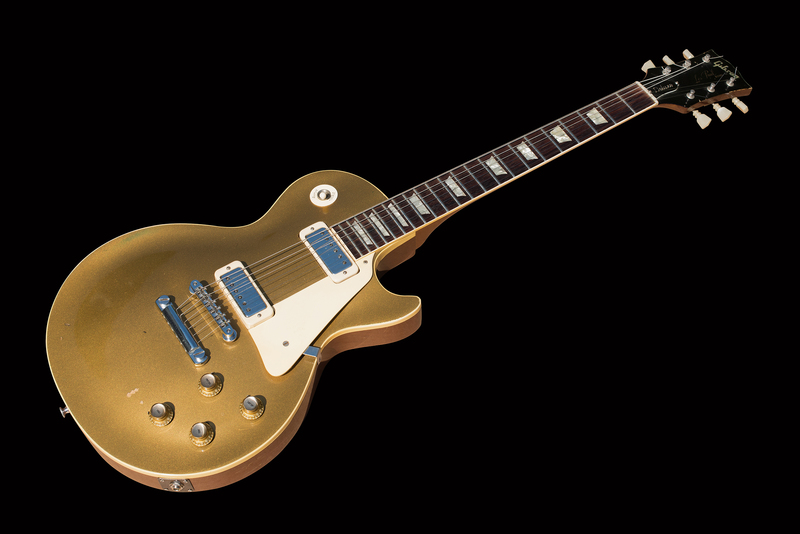 This Gibson Les Paul Deluxe Gold Top was made in 1969 and is a great playing and sounding guitar though heavy in weight. Shows some wear on the face of the Gold but all in all is in good condition. It has a one-piece body and all parts and finish are original. Complete with a later case. 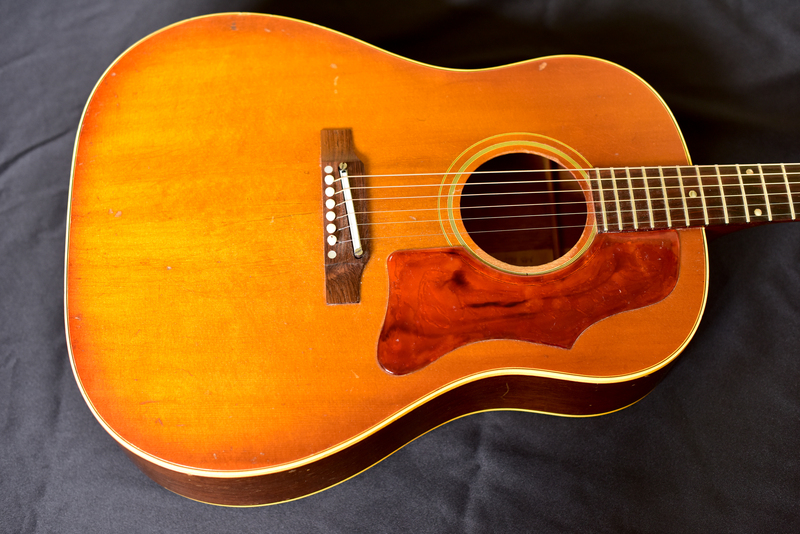 Here’s a nice Gibson J45 from 1964 in faded sunburst. Flat top, has a pretty tone with no cracks or damage but the guitar is in a used condition and the frets are original but a little low. Complete with a later case. 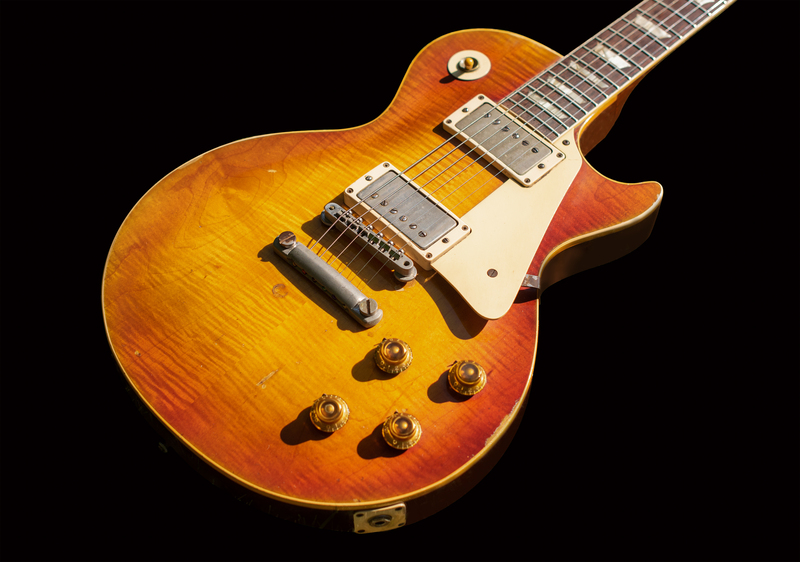 This Sunburst 1959 Gibson Les Paul Standard is an uncirculated instrument having been owned by one person since the late 1960s. 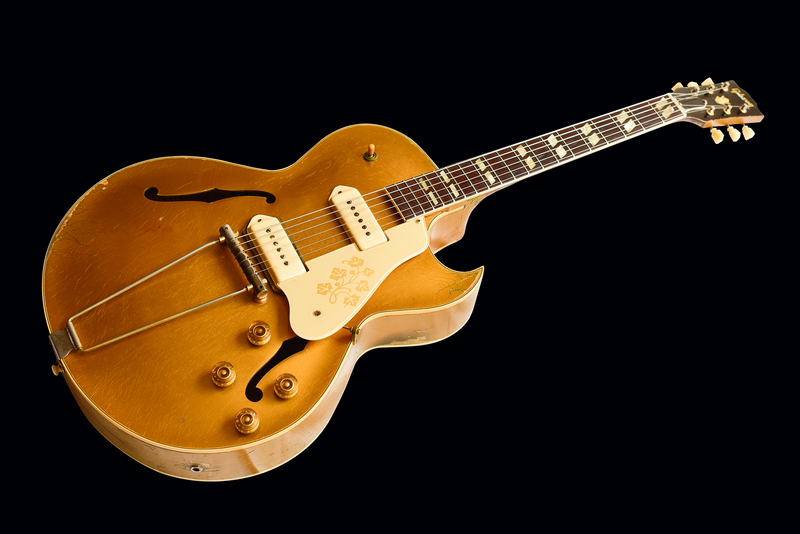 All original parts and finish but note that the Bigsby has been removed and the guitar has had a pro refret. Comes complete with the OHSC. 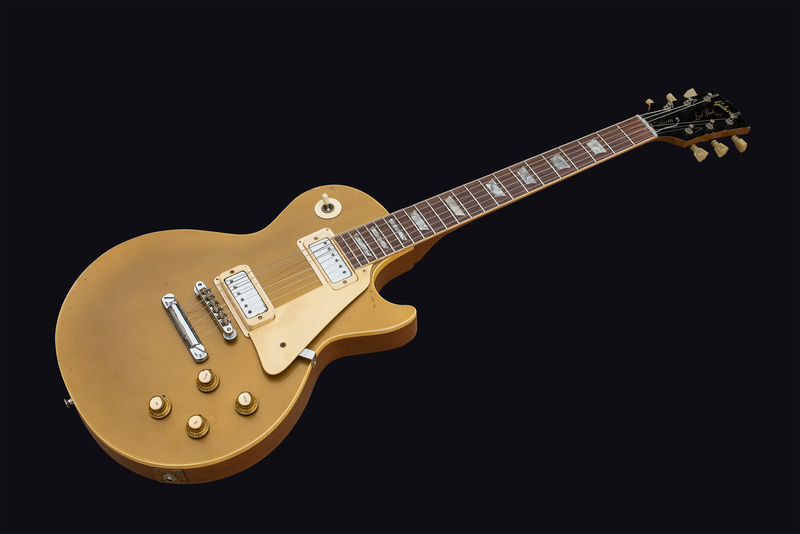 This is a lovely Gibson Les Paul Deluxe Gold Top made in 1969. It has a 3-piece neck and a 3-piece body. The guitar is in excellent condition though it should be noted it has had a professional refret. Comes complete with the OHSC. 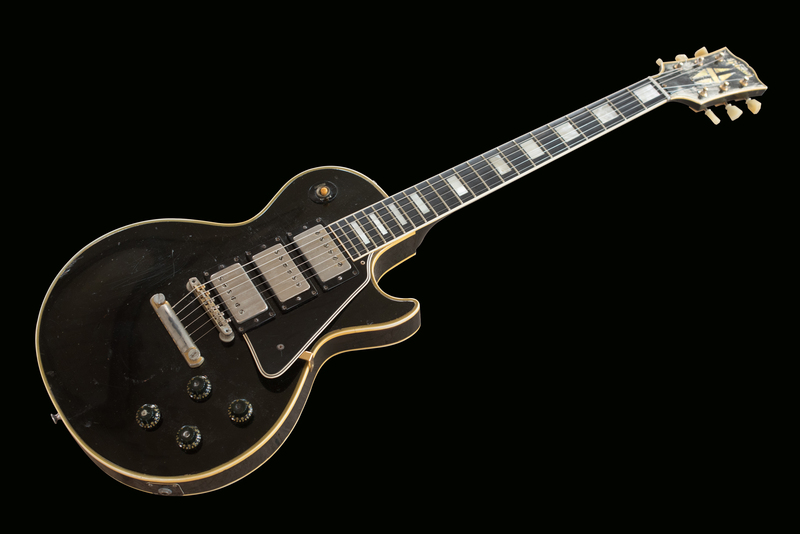 Gibson Les Paul Custom 1957 £CALL!! !